With a database of 51 million UK adults, in 28 million homes, we help you to understand your ideal target customer and reach them in a unique, innovative way. We help you profile and understand your existing customers to gain invaluable insight to target new prospects. Using our exceptional data, we work closely with you to interrogate your nominated geographic area, locally or nationally. With years of experience in media, design, print and mailing we provide you with a genuine end-to-end service. Cast Media Group was founded in 1994 as a creative agency with a unique strength in property marketing. Our offer is simple, effective and efficient with key strengths in content through to delivery. Operating from Leeds and London, CAST provide an efficient, full service to all our clients nationwide. Services include brand; creative; content; consultancy; project management; online marketing; print and media. Our clients cover several sectors with a strong focus on property, ranging from small housing associations through to large PLC property developers. Rich in resources, the team comprises creative talent, content managers, marketing strategists and consultants allowing for marketing deliveries to be seamless and rewarding. Censeo Financial is a multi, award-winning retail financial services company based in the City of London specialising in arranging mortgages for affordable homes. We currently carry out up to 600+ assessments per month, which convert to around a hundred mortgages. Last year alone, we helped over a thousand people buy a home of their own in around a hundred different developments. Over the past decade Censeo has helped thousands of people into their new homes, whilst at the same time saving housing associations millions of pounds, through our innovative approach in retail financial services. Complete Moves is your dedicated, end-to-end sales, lettings and marketing agency, providing full client services to UK housing associations, local authorities and developers. Launched in 2019, and led by the highly experienced Martin Fillery, Complete Moves understands everyone works differently, and a ‘one size fits all’ approach rarely works. We embrace the sales and lettings process from development feasibility and pricing strategy through to handling enquiries from potential purchasers and renters, arranging and hosting viewing appointments and events, through to the day the customer receives the keys. We believe that our early and collaborative engagement blends seamlessly with our flexible, tailored approach for our clients. Backed up by extensive in-house sales and marketing expertise, creative, digital and media services, Complete Moves is the ideal extension to your team. 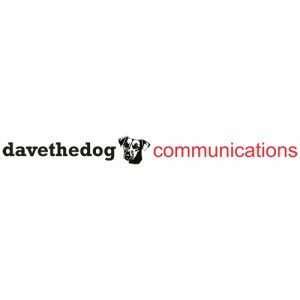 Davethedog Communications is a highly effective media planning and buying agency. We have many, (oh so very many) years’ experience in the property sector, and pride ourselves on delivering innovative, bespoke services and campaigns, which give exceptional returns on investment. Our clients tell us we are an enthusiastic, supportive and professional bunch, and we thrive on developing excellent partnerships with them. And yes, we really are named after a dog called Dave. Dawson Cornwell is one of the country’s leading specialist family law firms, highly regarded for its expertise in international cases, knowledge of the law and strategical management of divorce and high net worth financial cases, whether by litigation, mediation, or collaborative law. Many of its lawyers are cross-qualified, or speak other languages – including Spanish, Polish, Mandarin, Arabic and Hindi to name a few. The reputation of its international cross-border children department is unrivalled; covering child abduction, forced marriage, stranded spouses and international surrogacy and fertility. Because of its international expertise, the firm is uniquely placed to advise in cross-border Court of Protection and public law cases. Its reputation for cutting-edge work is reflected in the fact that each year, the firm has more reported family law cases than any other. 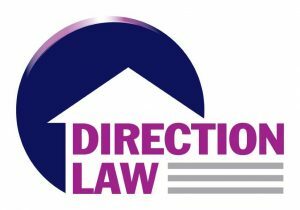 By offering excellent service in specific areas, Direction Law delivers specialist advice from expert solicitors and practitioners in their field. We do not want to be all things to all men, which is why there are no “jack of all trades” here. Instead we employ well respected professionals with a deep understanding of their specialism, but who are also friendly, approachable and always at hand to discuss cases in an easy to understand manner. Perhaps best known for our involvement in New Build and Affordable Housing conveyancing, the firm is also highly regarded in other areas, and is able to provide support and expertise to clients in a number of fields. Each department is headed by a lawyer with a specialisation in their respective field so that clients can be assured they will always be getting the best advice and representation. By adopting a listening, approachable and sympathetic manner we ensure that our client’s requirements become our priority. Faust PR are a boutique PR agency – a dynamic, young, creative team who know the property industry inside out. Clients range from top end developers and interior designers, to volume house builders and housing associations. Always coming up with new ideas to promote new homes, past projects range from working with world famous street artists to deliver pieces of public art, running public firework displays for over 1000 people or partnering with a floristry brand to deliver a unique workshop for press. A team small enough to be cost effective and highly accountable, Faust are experts in communication. Highly experienced in PR stunts, events and crisis management, alongside daily press office functions such as copywriting, social media strategy and management, Faust consistently compete with large global agencies, delivering impactful and meaningful campaigns. Since launching in 2014, heylo has created one of the largest homeownership programmes in the UK, offering a variety of different routes to ensure the dream of owning a home becomes a reality. JLL is a world leader in real estate services. We work with a whole host of diverse clients to help them achieve their ambitions in real estate. When you talk to our residential team, you’ll discover what it feels like to work with experts in urban living. · Valuation and surveying services from e.surv chartered surveyors. For more information, contact our Land & New Homes experts on: 0845 340 2940 or info@lsllandnewhomes.co.uk for an initial no-obligation consultation. 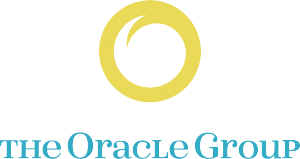 The Oracle Group is the fun-loving, hard-working, creative-thinking, promise-keeping, budget-saving, client-pleasing, content-creating, challenge-beating, award-winning, copy-writing, social-media-bombarding, brand-designing, event-making, reputation-building, PRWeek Top 150-ranking, marketing and communications group…and the only agency to be crowned one of the ‘Best Places to Work in Property’ by Property Week. providers. From high profile city centre developments to traditional town and country family homes, brand new properties to resales, our listings provide detailed property information, eligibility tools and appointment booking facilities. Everything buyers need to help find their perfect shared ownership home. The Property Booking team brings together vast experience working within the affordable home ownership sector and we strive to use our knowledge, expertise, and the latest technology to provide the best customer experience possible. Central to our approach is providing a seamless and easy step-by-step journey across every Property Booking touch point, simply because we’re passionate about making shared ownership less complicated for the people who need it the most. SiteSales Property Group have provided a range of services to developers, housing associations, local authorities and registered charities for over 28 years, delivering successful solutions on housing schemes ranging in size from ten to over 1,000 new homes. Operating in London and the South East, SiteSales view themselves as an extension of their clients’ management team rather than a separate organisation, advising clients on all aspects of speculative housing from site appraisal, the planning processes, detailed design, internal and external specification, construction, market research and culminating in sales, marketing and an after-sales service. Whatever a client’s involvement in residential development, SiteSales have the experience, knowledge and resource to help ensure minimal risk and achieve the maximum return on client projects. SiteSales also build their own homes for sale under the Regenta brand; they are operating on a range of projects and welcome enquiries from those interested in land disposal or joint-venture projects. Recently ranked number one in The Drum’s Elite Media Agency poll, Space and Time is a major independent media agency trading from offices in London, Reigate, Manchester, Edinburgh and Bournemouth. The agency has a strong background in delivering local area marketing solutions at the national level and a wealth of experience in integrated communication planning, delivering value against niche audience groups. Begun in a Reigate barn in 2000, Space and Time now employs over 100 people. This is a business that has brought first-rate customer services and client retention into the larger arena. In an industry where average client relationships last 3 years, more than half of Space and Time’s revenue in the last year was from clients of greater than six years’ standing. This is testament to the strength of client service, the focus on performing against measurable outcomes, and a capacity to flex and grow to match a client’s needs as they develop over time. 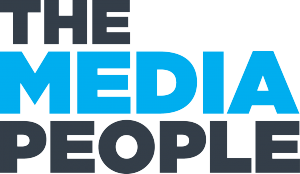 The Media People – where traditional and digital media work together. We are digital experts combined with decades of traditional media buying power using specialist technology to dig deeper, plan better and work smarter. Our vision is to be a brave business and develop distinctive impactful campaigns. We are the market leaders at planning and buying media across the sector, and we take a very different approach – we think audience-first, not channel – to understand not only where your customers are but who they are. We are about people chemistry, driven by insight and knowledge and underpinned by hard work and delivery. Online. Offline. We are your people. Tidywork Studio is a visualisation studio which specialises in both still and animated architectural CGIs. Catering primarily to the property industry, we ensure that the target audience is served by the end result. As a well-rounded creative studio, we can deliver packages that will embolden marketing collateral. Using our high-end CGI’s, Photography and Film, we can then go on to produce Virtual Reality Showhome Tours and Marketing Suite Touch-Screen Applications. Our studio is situated in a 17th-century listed building in the historic town of Epping, Essex on the Central Line. In contrast to our historic setting, our studio is fully equipped with pioneering technology, which we are constantly upgrading, to enable us to produce high-end products and services for our clients.